New to Service Hub Professional or Sales Hub Professional? Bulk import your tickets or products so you can get started using HubSpot right away - with all the full context you need in order to best serve your customers and run your business. That’s right - you now have the flexibility to use three different file types for your imports. Choose whatever file type works best for you. Simply drag and drop (or select) your desired file in the designated area. The way you create lists within the import tool has changed. 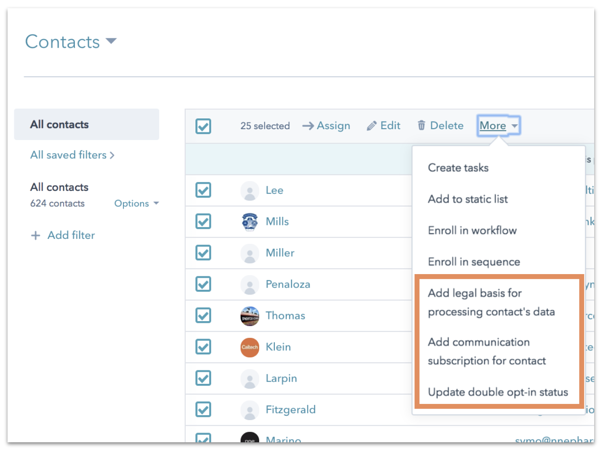 Instead of creating a list during your import flow, you now have the ability to choose from two new and more dynamic ways to create lists while importing your data. b) Filter on the import index page: Determine whether or not a contact is in a specific import by applying your desired filters. The import page now has quick-links to filters based on the import for contacts, companies, and deals. This gives you a more holistic view into the details of your import and the ability to take bulk actions on them once the import is complete. For users with GDPR on, we have moved the GDPR subscription settings to the contacts view. 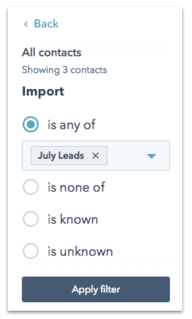 Now, you don’t need to export and re-import contacts just to make updates - you can take care of all of this right inside HubSpot. Still want to establish the lifecycle stage during the import process? Simply include the lifestyle stage in your import file. 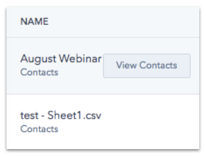 For detailed instructions on how to manage contact subscriptions, check out this knowledge document. With all of these exciting updates, it may be worthwhile to give the new imports a try. Click here to get started… and happy importing! The above updates are now available to all HubSpot users and available in all languages supported by HubSpot.